Written and Sang by The Queen of Soul Aretha Franklin. 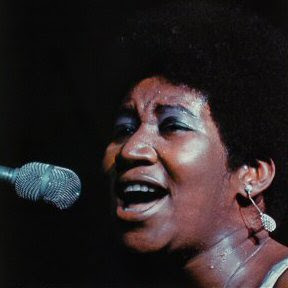 1971 was a time when Aretha was in her prime. The voice could soar to the heavens and come back down to earth and dig deep into the valleys just as smooth. When she sings "Call Me" you feel her wanting her man to call her the moment he got there. Rolling Stone magazine once asked; "Is there a story behind that song, "Call Me"?" "Well, heh, yes there is." She brightened a bit. "There were two people on Park Avenue, a couple. And they were just getting ready to leave each other, going in different directions. And as he got across the street and she was on the other side, he turned around and said, 'I love yooooo!' And she said, 'And I love yooooo!' He said [singing], 'Call me! The moment! That you get there!! She said, 'I wi-yall.' And they just stopped traffic on Park Avenue and everybody was checking that out. Romance on Park Avenue." We laughed. Here is a terrible video quality of Aretha performing "Call Me". The audio however is pretty good and she delivers one of the best live performances I have ever heard.